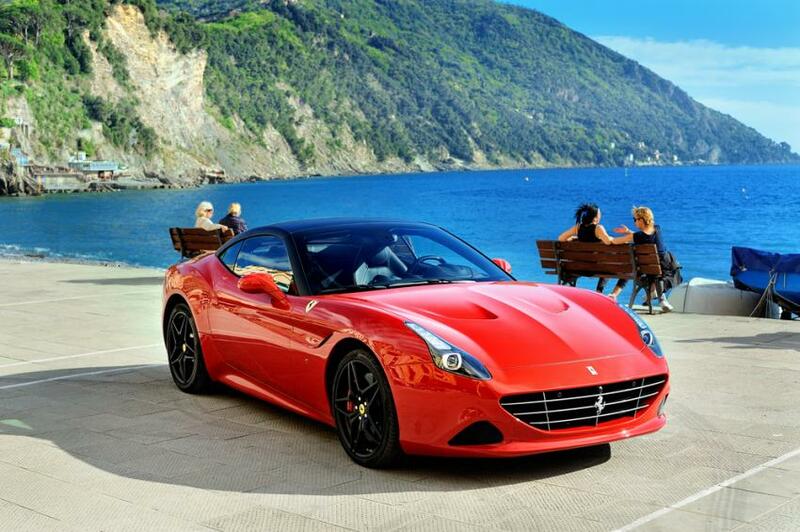 Cruising along the Cote d’Azur in a supercar is something everyone must do once; driving a luxury car rental next to the glimmering Mediterranean Sea is truly special experience. The perfect road trip along this famous stretch of coast starts in the glamorous Cannes and ends in the opulent Principality of Monaco, with a litany of enticing stops along the way. We've created this itinerary to guide you on your once in a lifetime journey. Although the quickest way to arrive in Monaco would be to follow the inland motorways and high-speed roads, the best direction for discovery is to follow the coastal road, starting on the Boulevard de la Croisett in Cannes. Before you hit the glittering Croisette, we suggest you start in the city’s old quarter. Le Suquet gives its visitors a real taste of the province, and the winding alleys and old houses make for a quaint way to start your glamorous trip. Perhaps pick up some croissants and baguettes from a local boulangerie for your trip? Moving through the town of Golfe-Juan and following the coastal road around the cape, past the beautiful beaches of Juan-Les-Pins, you will be heading towards intense natural beauty. Stop to admire the scenery; let your luxury supercar rental cool its monstrous engine; and take the opportunity to explore Cap d’Antibes, with its wild and wonderful coastline. For every scenic rock face there is a soft, sandy beach – it caters for everybody. Now might be a good time to sit outside a quaint cafe to enjoy a coffee. Antibes is the next stop on this perfect road trip and with so many attractions the difficulty is picking which ones you’d prefer. The town has an alluring array of restaurants and patisseries (Restaurant le Vauban is our favourite), but Antibes comes into its own through its wide range of museums. Choose from the Archaeology museum, Peynet Museum or the Museum of Popular Arts and Culture. Our top pick for a priceless cultural experience would be the Musée Picasso - a tribute to one of the seminal painters of the 20th century, experience the life and times of Pablo Picasso in a truly wonderful setting. Alternatively, if you don't feel like leaving the driver's seat of your favourite sports car, drive straight through and just admire the view. Continue along the coastal road and find yourself faced with a seemingly endless expanse of beautiful beaches. As enticing as they may be, we suggest you put your foot down in your luxury supercar rental and keep pushing on toward Nice. Nice has a brilliant ability to be both a cosmopolitcan metropolis and a laid-back Mediterranean beach resort. So why not take the opportunity to explore its wonderful attractions? Nice offers many beautiful gardens; from the Albert-ler Gardens to Parc Phoenix, there are options for all your desires. Or why not drop by the seventeenth-century Palais Lascaris for a touch of opulence? Following the coastal road around Mont Boron will lead you to set eyes upon your next recommended destination; Saint-Jean-Cap-Ferrat. A stone’s throw from Monaco this cape offers beautiful beaches and wondrous sites as well as some of the most expensive villas in the world. The Villa Ephrussi-de-Rothschild Gardens offers 7 different thematic gardens to enjoy. With the home stretch to the astonishing sights and sounds of Monaco awaiting you be sure to take your time to enjoy the coastal road one last time as the sun sets over the sea and is guaranteed to give you an image you’ll never want to forget. Whilst that view may be something to make your heart melt, to get the pulse racing again make sure you take your luxury supercar rental through the Tunnel du Cap Estel and listen to the engine roar loud enough for the entire city to hear you coming. The Ferrari F12 Berlinetta is one of the most fabulous cars in the world, not only for its seemingly effortless power and handling but its astounding styling. Another brilliant option is arguably the most luxurious car in the world, the Bentley GTC W12 is comfortable and still with enough grunt to make your pulse race. But if you’re looking for something chic, cool and still powerful then there can only be one option, possibly the best-looking car in the world; Aston Martin Vanquish Volante. The only thing left to decide is when do you leave? We suggest as soon as possible. To discuss your luxury supercar rental, please contact the dedicated team at Luxury & Services.